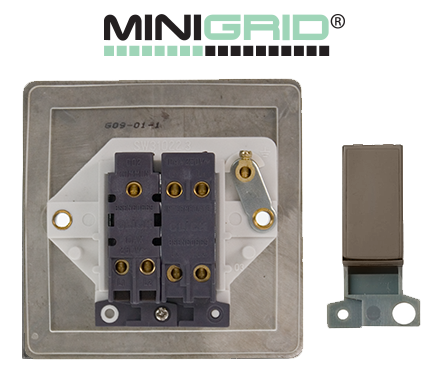 Conventional wiring accessory plate design with a standard 6mm return on the plate depth, limits the design opportunities in many installations by virtue of the fact that the plate becomes the feature instead of complementing the features of the decoration in a room. The CLICK® Define® flat plate range of wiring accessories offers up a host of new design opportunities with a comprehensive range of electrical accessory products available in 5 different decorative plate finishes. When ordering any CLICK® Define® wiring accessories, please specify the required finish by following the simple code structure as demonstrated here.